Our annual Christmas party will be Saturday 16th December in The Coachman's at 7:45 for a sit down dinner. Please give Mary for name if you'd like to Jingle and Mingle! Wishing you a healthy, happy Christmas and a wonderful New Year! Congratulations to all who took part at the Celtic Masters this year. Reportedly there were 23 individual Irish records broken at the Celtic Masters and numerous provincial ones too. 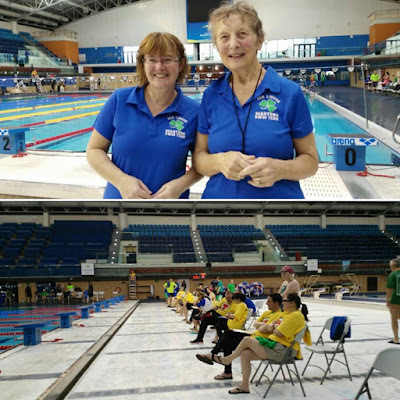 Congratulations also to Dymphna Morris for winning Swim Ireland's Masters Outstanding Achievement. Special mention also to the Kilkenny Masters Club (best national club performance) and to the Pittsburgh Flying Fish Heads who took home a wee pot of gold medals and the award for best international club performance. Special thanks to Swim Ireland who sponsored the event and to our coaches Peter and Gerry. 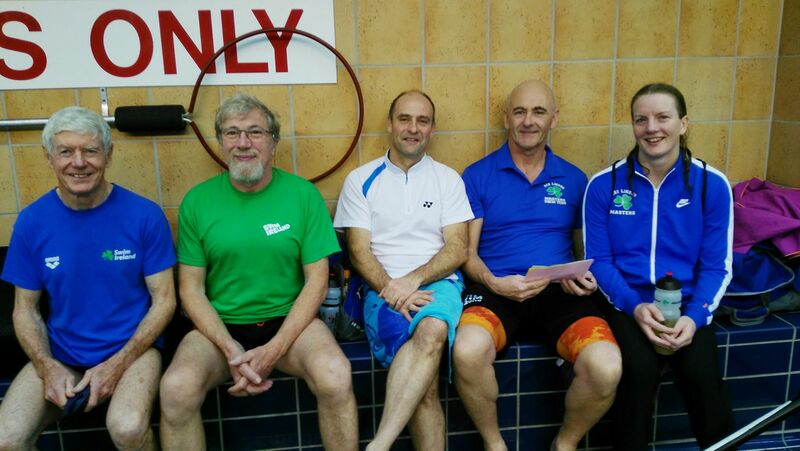 Special thanks also to Declan Harte NAC coach who gave up his time and swims to announce and officiate on the day. Thank you also to all our timekeepers, officials, MCs and the tech team for sacrificing their time to make all this happen. Thanks goes to those who manned the medal & tee shirt tables and the lovely ladies who kept the officials and volunteers fed during the 2017 Celtic Masters...we look forward to Alice's Apple Pies every time! The next gala is Mallow on the 9th of December. Entries are due in by the 4th Dec. Keep up the great work everyone. Registration will take place on the balcony under the scoreboard. There's a bit of DIY going on so access to the Changing Rooms will be via the back corridors under the balcony and not via the general entrance. Session 1 warm up 9.00 am, start 9.45am. Session 2 warm up 2.00pm, start 2.30pm. 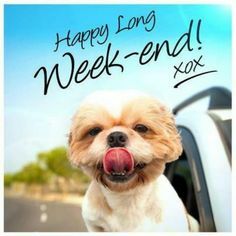 Good luck to everyone swimming! Here is the draft program for the Celtic Masters Gala in the NAC next Sunday. Please note that this is subject to change and you are advised to double check your heat and lane numbers upon arrival at the pool. The morning session and afternoon session will be broken up by a two hour break from 12 until 2 pm. 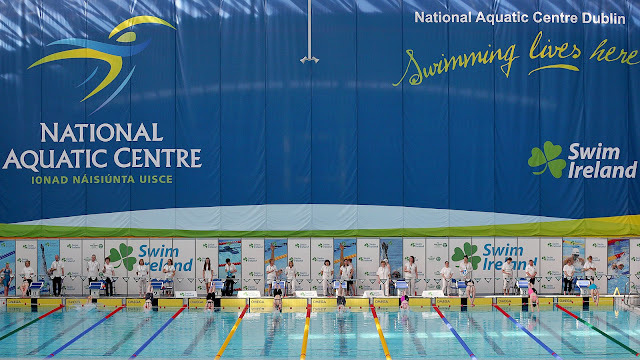 The Celtic Masters Irish Open Short Course Championships will be held in the National Aquatic Center, Blanchardstown, on Sunday 19th November. 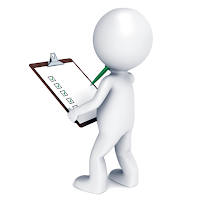 Please find link below to meet information, order of events and entry forms. Closing Date is 1st November. Celtic Masters Gala info & entry forms. Get back to swim school with a new term starting next week with sessions catering for intermediate swimmers and Adult Beginners. Wednesday night 8 pm: Lane swimming. 2 coaches on the bank. 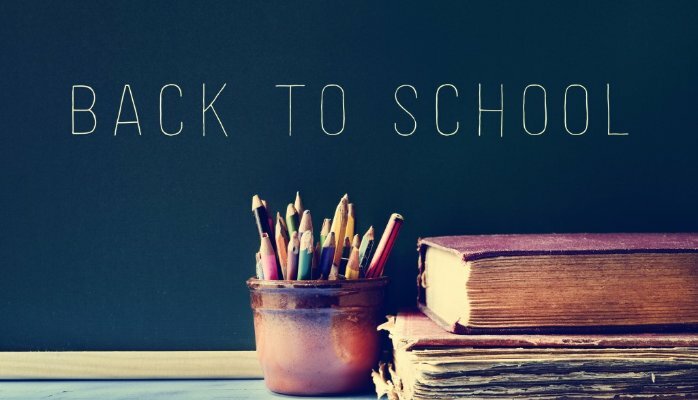 starting Wednesday 6th Sept.at 8 - 9 pm. Suitable for Masters / Tri-Athletes. €70 for a 10 week session. Starting Thurs 7th September at 9 -10 pm. €70 for 10 week session. 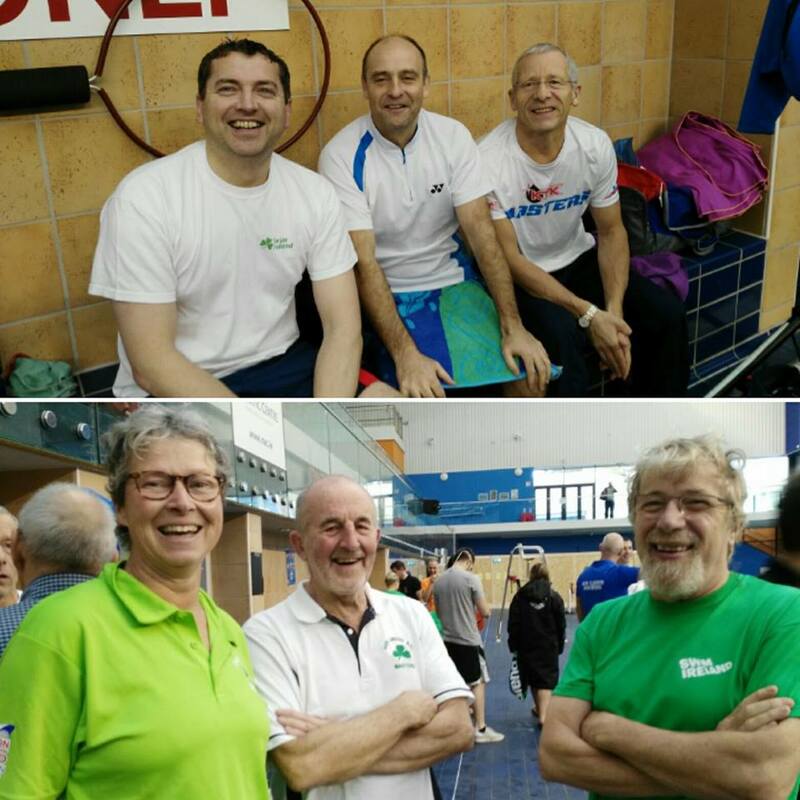 Please note that our annual Celtic Masters Gala, hosted jointly by Aer Lingus and NAC Masters Swim Club, has been rescheduled for the 19th of November. This date is now confirmed. Thank you for your patience and we hope to see you all there. Stay tuned for entry forms and schedule of events. There is a special open sea swim element to this year's Donabate Portrane Summer Festival. It's all happening on Portrane beach on Saturday 12th August with Swim Ireland hosting Open Sea Races for all the family. Starting off at 2.30 pm with a 1,600m swim (€10 entry) for experienced swimmers. This race is open to wet suits and non-wet suits. 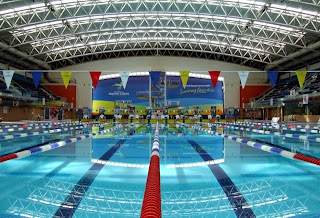 Swimmers must be registered with Swim Ireland to take part in this particular event. 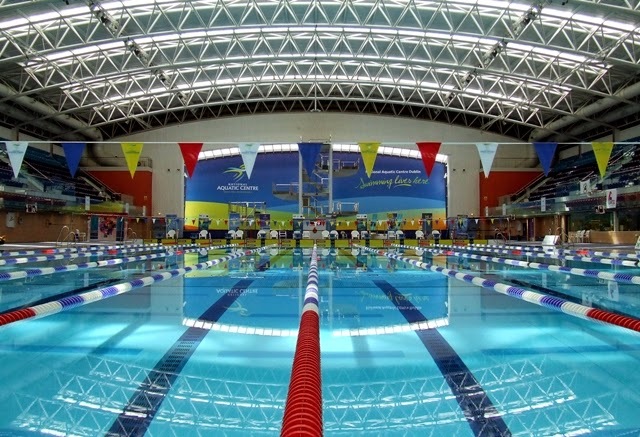 This event is followed by a 200m Children’s Splash ’n’ Dash (Free). Finally there is a 500m swim open to all ages (Free) and ideal for those wanting to sample the Open Water experience. So come on down and take part in the festival fun! Register on the day or with EventBrite. 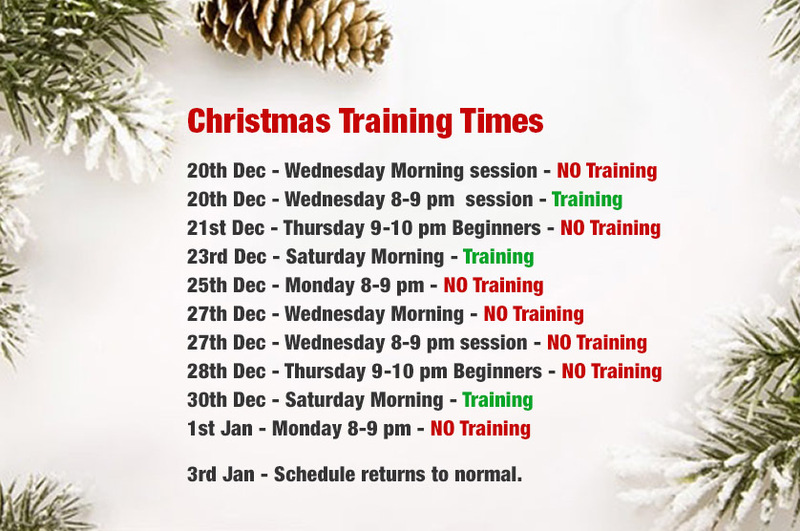 Wednesday Nights 8 - 9 pm - Masters and Triathletes Training Session. Masters / triathletes lane swimming with two coaches on the bank. Not suitable for absolute beginners, but ideal for those wishing to improve their stroke technique, distance and stamina in the water. Ideal for Triathletes looking to improve the swim section of their race. This ten week session is on from 9-10 pm every Thursday night. This is an opportunity for all level of swimmers from complete beginners to those who want to improve their technique or learn a new stroke. See our adult swimming lessons page for more details. 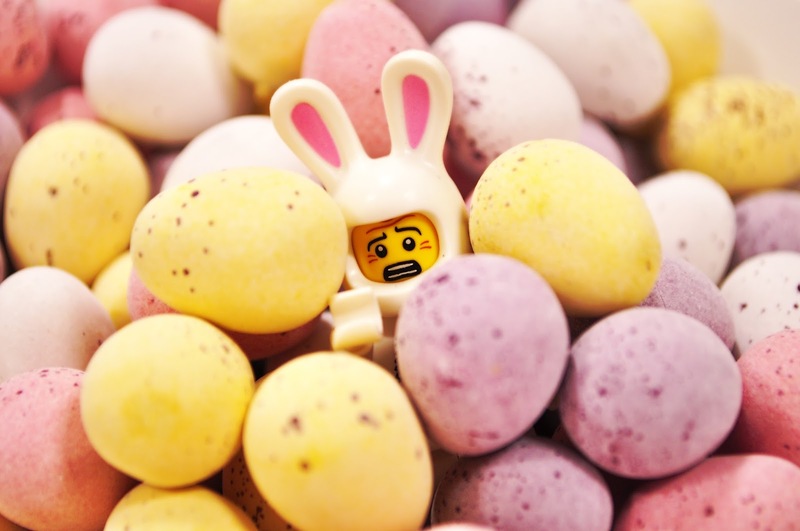 UPDATE: Please note there is now NO TRAINING Easter Monday. 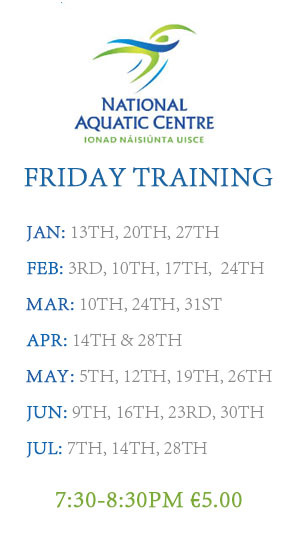 There will be NO TRAINING this Wednesday 19th April @ 8 pm. 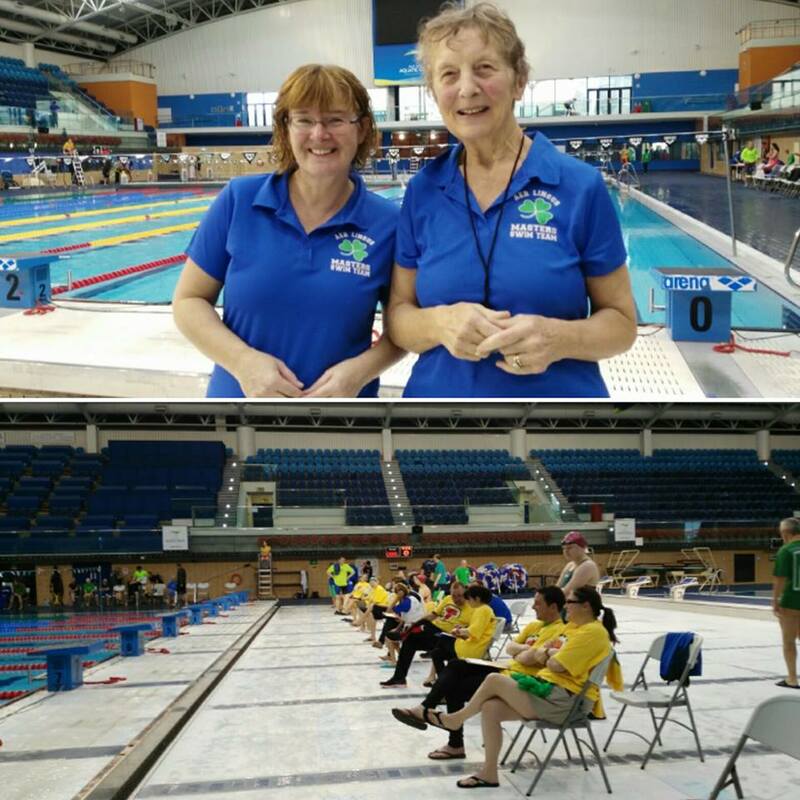 Firstly, a huge congratulations is in order to everyone who took part at this year's Irish Long Course Masters Championships in Limerick. 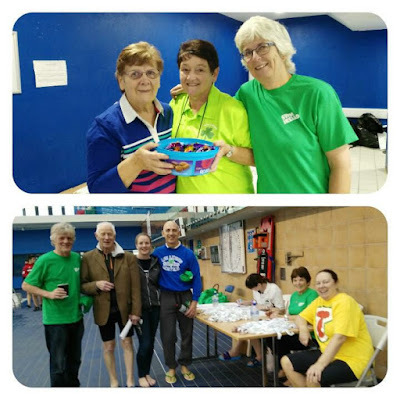 A huge vote of thanks is also in order to Limerick Masters for hosting this great event, and to all the officials, timekeepers and organisers that make it so successful. 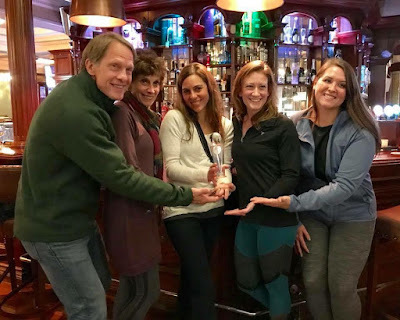 We had our own success of course; Aer Lingus Masters won Club of the Year! Above is our own Vivian Mongey accepting the trophy. This was not, however, the only trophy Viv would be taking home from Limerick. 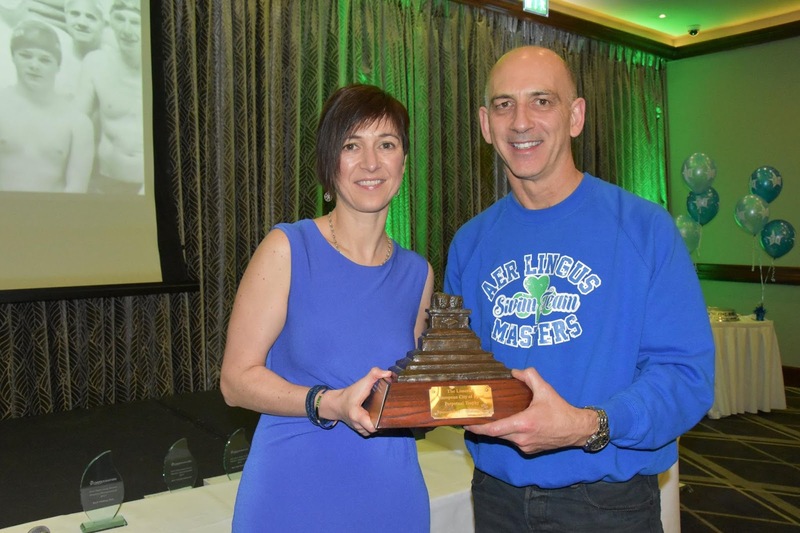 We are also proud to announce that both the male and female trophies for the Swim Ireland Decathalon Award 2016 were presented to Vivian Mongey and Dymphna Morris. 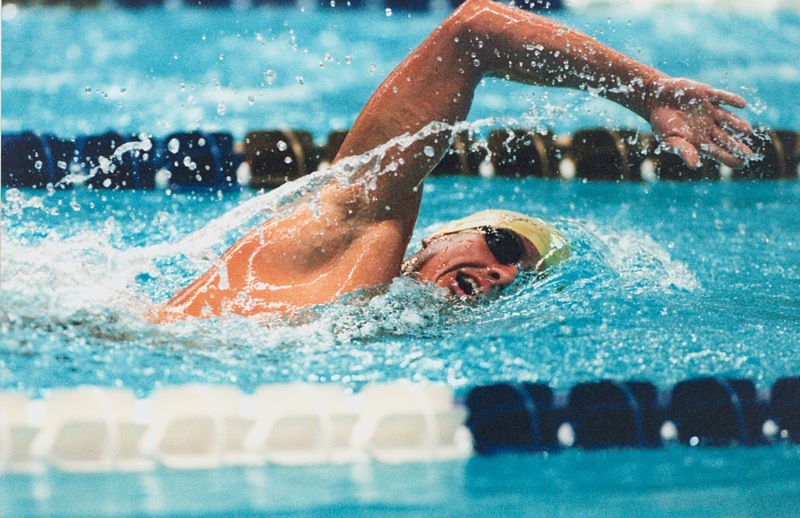 To be in with a chance of winning the Decathlon Award, swimmers needed to compete in ten different events in all the different stroke events, the distance freestyle and individual medley events over the course of the year. This was a true test of versatility and endurance for Masters swimmers. The full list of results are available here. There are also tickets available for the Gala Dinner afterwards in the Castletroy Park Hotel to celebrate Limerick Masters 30th year anniversary. Cost: €20 per person. Tickets can be purchased at registration desk in reception. A happy and healthy new year to everyone! We are happy to announce that Friday night 50 meter training sessions in the NAC will resume from the 13th of January. See full list of dates below.